You are here: Home / What Is Written Language Therapy? What Is Written Language Therapy? Some children (usually school-age) don’t know how to construct sentences in the written form. They either haven’t got the right grammar structure, don’t know how to write a narrative piece, or don’t understand the style of writing that’s required (e.g. a poem vs a narrative piece vs a story). 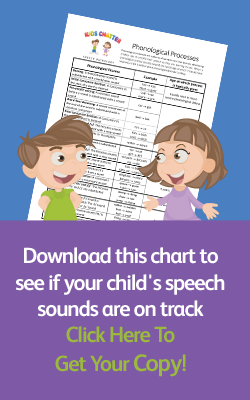 If your child’s teacher has mentioned these problems with your child’s writing (either directly or via their school report), they may need Written Language Therapy from Kids Chatter. So why do some children struggle with the written language? It’s possible they may not have the necessary verbal language skills to base it on, or they may have difficulties connecting relevant information or sequencing them in the correct order to write an assignment or story. If not addressed, this is a problem that can affect their entire lives. At school, they will have trouble completing assignments, exams, essays and any other written work. As adults, they will often be judged on their ability to write (these days, all it takes is a spelling mistake for a job application to be rejected). At Kids Chatter, we’ll start by checking your child’s language skills. Language and literacy are closely linked, and good language skills are the foundation for good literary skills. Even if they can spell, that doesn’t mean that they will know what order the words should go in or what structure to follow. Once we have identified the source of the problem, we can work on helping your child by focusing on their language skills and putting it in writing. We’ll teach them about phrasing and punctuation—what commas and full stops are, what they’re used for and where to place them. We’ll explain that a question needs more than just the question mark at the end of the sentence. We’ll show them what a word is in comparison to a sentence, a paragraph, or an entire story. Then we’ll show them how to build their words into sentences, sentences into paragraphs and paragraphs into various types of writing such as writing a short story or writing a persuasive essay, and so on. With our help, your child will be able to write as well as they speak. Their writing will no longer be a problem for them, their teachers or their future employers. And they will go on to be the best they can possibly be. If your child is struggling with written language, please call us today to arrange an assessment on 0432 735 044.